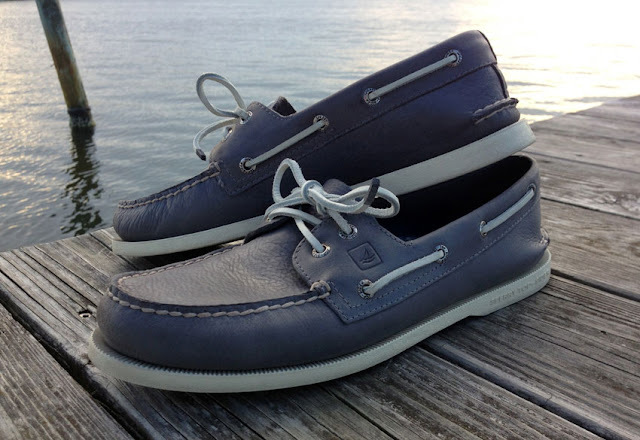 Ever since Paul Sperry created the first pair in 1935, boat shoes have become a classic style staple. 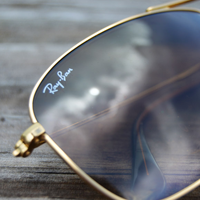 Their preppy, iconic look goes well with almost any summer look, whether you're on a sailboat in New England or not. Because of their simple design, they will look as good with a pair of shorts and a polo as they would a swimsuit or khakis and an oxford cloth button down. Nowadays you can get your Sperry Top-Siders in any color imaginable so you can be understated or bold. Even better, if you get a classic leather pair for this summer, not only will they still be in style next summer but they will also have that perfectly broken in look that makes them even cooler. Looking to step up your t-shirt game? Try out a tee with a simple pocket on it, it says a little more, "I'm a grown man with killer style," and less, "I just rolled out of bed in this t-shirt." 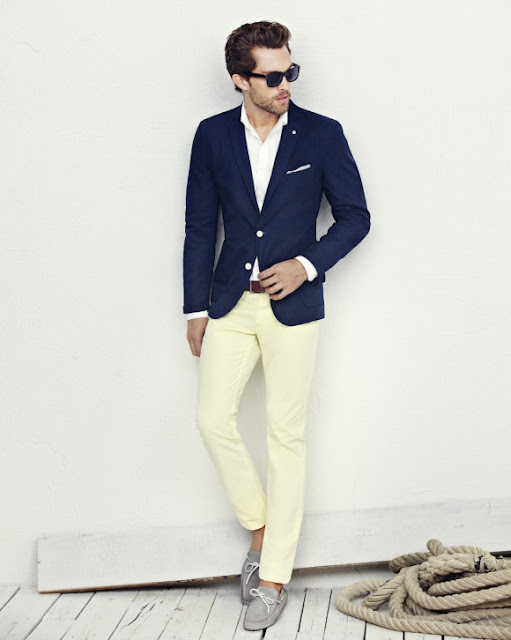 A simple, solid color (white being the most versatile) with a slim fit will look good on anyone. For the more adventurous, a contrasting pocket can stand out well, just stay away from trendy patterned pocket on a solid tee. Wear it with shorts and boat shoes for day at the beach, jeans for a weekend with friends, or under a blazer for a night out. 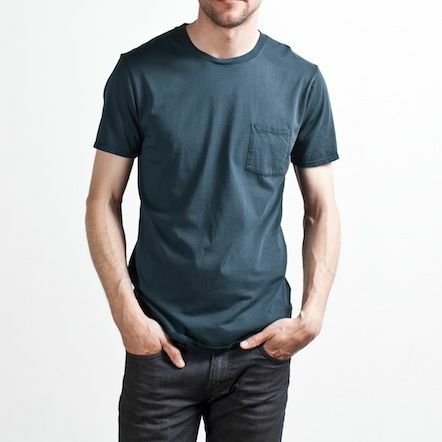 Not to mention a simple, neutral pocket tee looks great under a leather or denim jacket. To make it all a little more put together, make sure you have a nice pair of shoes, preferably leather and definitely nothing too athletic. 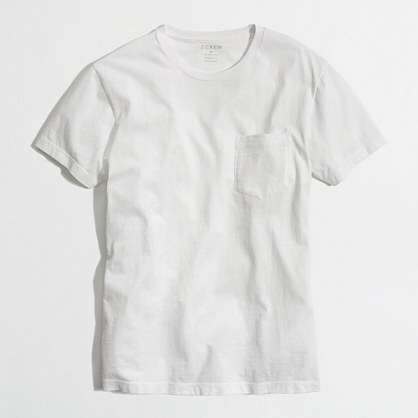 If you're looking for a good pocket tee, check out Everlane (pictured above) for $15 or J. Crew Factory (pictured below) for $19 but is almost always on sale for less. In my search for something to wear to an upcoming summer wedding, I came across this picture that seemed to be the exactly what I had imagined I would wear. It's dressy enough for attending a wedding yet casual enough to wear to the ceremony on the beach. With a little more searching I was able to figure out the collection it came from (HE by Mango Summer 2013) and find the rest of the stylish summer looks. Here is the rest of the collection with its incredible blend of preppy colors and modern fit.